Ruddy “El Macizo” Ruiz will host special events throughout Spain, Switzerland and Germany in the coming month of June 2015. Make sure to join him as he’s ready to share wisdom on his two biggest passions; tobacco and baseball! Ruddy was born in Estelí, Nicaragua, in 1984. He comes from a family of three generations of tabaqueros, so it’s fair to say the leaf is in his DNA. 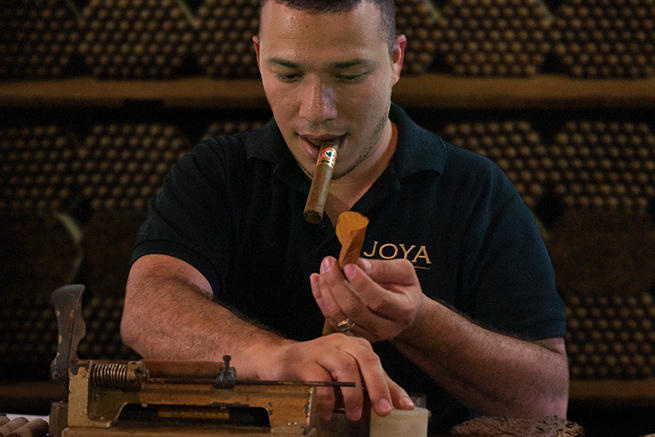 At a very young age, he learned the art of rolling a great cigar from the hands of his grandparents and mother, all of whom were part of the legendary group of torcedores at Joya de Nicaragua in the early the 70’s. After studying Agricultural Engineering, in 1998 Ruddy began crafting cigars. After some years of practice, he followed his family tradition in 2005 and gained the bonchero rank at our prestigious factory, which is also known in Esteli as the “University of Tobacco”. Since then, with his extroverted personality, the dexterity of his hands, his skills with the “chaveta” and his passion for blending tobaccos, Ruddy has risen quickly to become one of Joya de Nicaragua’s Maestros Torcedores. 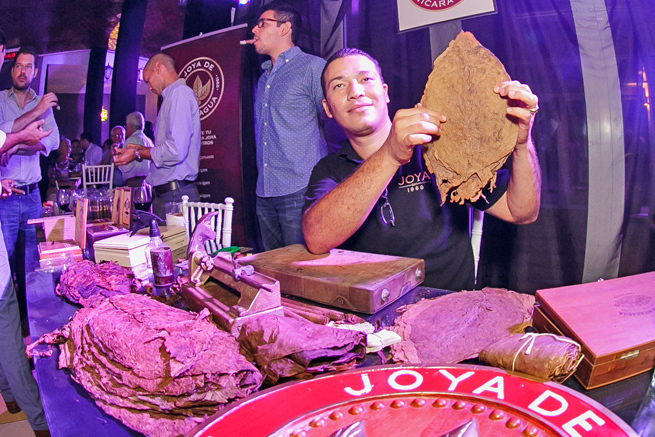 For the last half decade, thanks to his unique and authentically nicaraguan rolling style, Ruddy has become Joya de Nicaragua’s top spokesperson, performing cigar rolling demonstrations in more than 100 national and regional events, including the 3rd and 4th International Nicaraguan Tobacco Festival “Puro Sabor”. This artist of the Nicaraguan Puro will share with the european cigar aficionados the secrets of our tobacco…. and also, a little of his beaseball wisdom! For more information on these events, please contact our exclusive distributor in Spain: colonialtabac@hotmail.com / +34 695 439 989. For more information on these events, please contact our exclusive distributor in Switzerland: enrico.gunde@saeuberli.ch / +46-733 343032. For more information on these events, please contact our exclusive distributor in Germany: info@arnold-andre.de / +49 5223 163-0.